As the relentless march of time filtered through the nearby vacation cabins, Knight would see the hint of technological evolutions. His radio gave him access to music, talk shows, and the audio of sitcoms. He remained a prolific reader, pilfering books along with his batteries and shelf stable foods. The human world connected with him, information fed his mind and thoughts as much as the stillness of nature. In a way, the things he stole were his only communication back to the world he dropped out of. His brain wasn’t wired for normal society after years in the woods, and maybe it never was. Possibly that’s why he abandoned everything he’d ever known when he was 20 years old. To add further complexity to his story, his family didn’t file a missing person’s report for him. They assumed he’d gone off to live the life he wanted, and they were right. Knight made the forest his home. Some people go crazy in isolation, and others go crazy around people. Knight served some time in jail and was released under the condition hat he participate in a special courts program, Co-Occurring Disorders Court. He had to check in with the rehab-type program that deals with offenders who have mental health and addiction issues once a week. The rest of the time he worked for room and board at his brother’s scrap metal recycling company and volunteered painting at the train station to complete his community service requirement. Human brains are quite diverse and there is something about Knight’s brain that craves extremely solitude. As technology advances there is less human-to-human interaction, a higher degree of isolation, and that lack of interaction can take a devastating toll on many of us. Still, it’s quite easy to hunker away from the world in modern society if we wish. Knight took this desire to extremes. His only problem is that he still relied on society to sustain him and bring him comfort. He became a criminal to survive. Even since he was released from jail, Knight reentered society almost seamlessly. He did everything required of him, but still longed for the woods – the quiet home he lost forever. During one of Knight’s last meeting with Finkel, he revealed some of the dark thoughts he’d been having. He says that the metaphor he likes to use, The Lady in the Woods, means death. 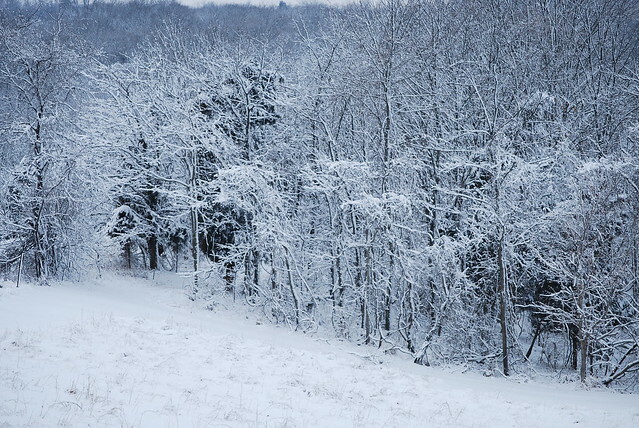 At the time he had a plan for the winter – to walk into his beloved forest naked and meet the bitter cold to find The Lady in the Woods. He says he’s seen her before during the starkest times in his winter hibernations, when the cold had set in, he’d run out of food, and lost all of his body fat. He knows it was just a hallucination, but The Lady in the Woods represents sovereignty for him in a way, independence. His plan had been to die in the woods, unnoticed and unknown. Now he’s back in his parents home working a job and any complaint he has about this normal person’s life he’s slipped into are met with empty platitudes, the cruel blade of positivity. “Look on the bright side,” they tell him. He eventually stops talking to the “normal” people at all. He feels like a square peg. He feels crazy. “I miss the woods,” he tells Finkel. For a while Finkel was deeply worried that Knight would make good on his plan to meet The Lady in the Woods. He called a psychologist who told him since his plan was so far into the future, there was nothing really to be done. He couldn’t be hospitalized over a suicide plan six months out. It’s been several years since Knight opened up to Finkel, and he is still alive, presumably still in a similar living situation. He graduated his program in 2015 and his parole should be up in 2018. “I did examine myself. Solitude did increase my perception. But here’s the tricky thing—when I applied my increased perception to myself, I lost my identity. With no audience, no one to perform for, I was just there,” Knight told Finkel about what happened to his sense of self during his time in the woods. “There was no need to define myself; I became irrelevant. The moon was the minute hand, the seasons the hour hand. I didn’t even have a name. I never felt lonely. To put it romantically: I was completely free.” Most of how we see ourselves is based on how we compare ourselves to others. Exactly who are we when all of that disappears?